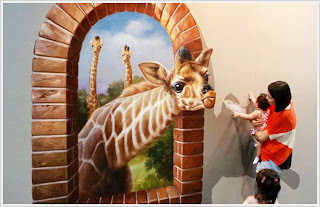 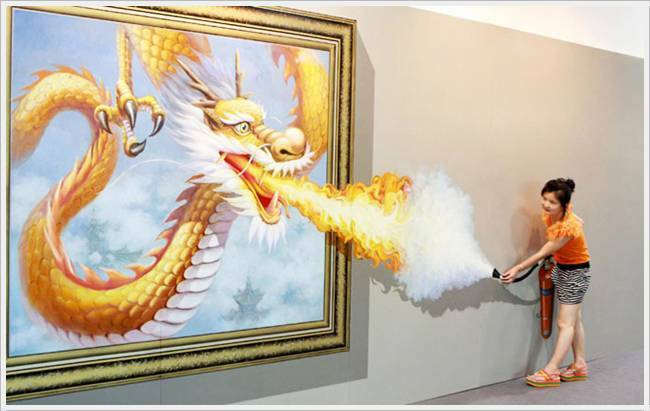 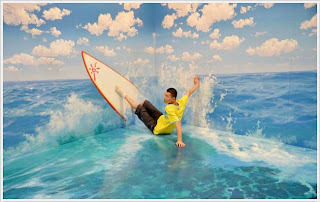 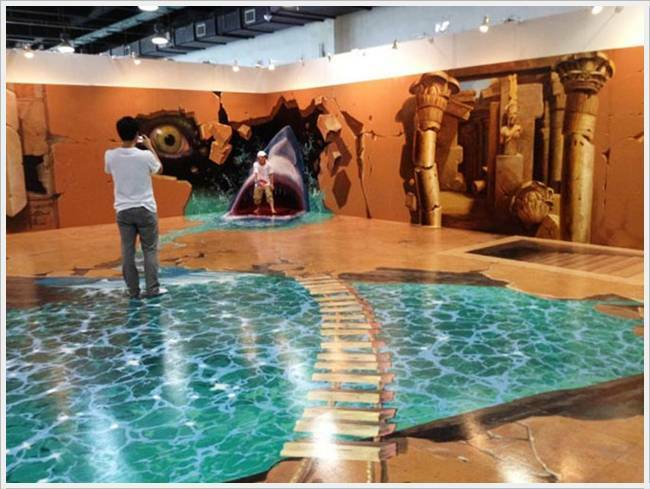 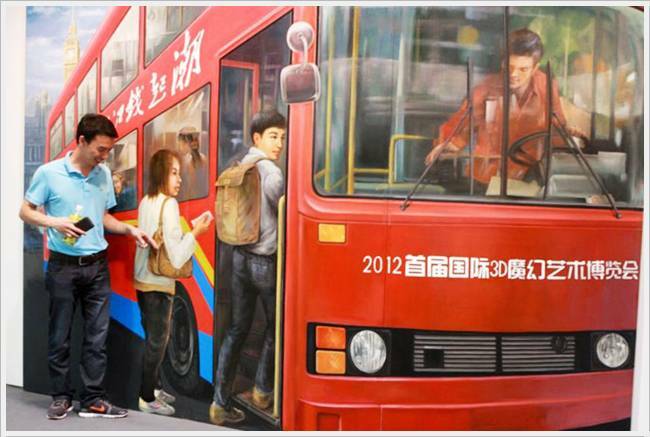 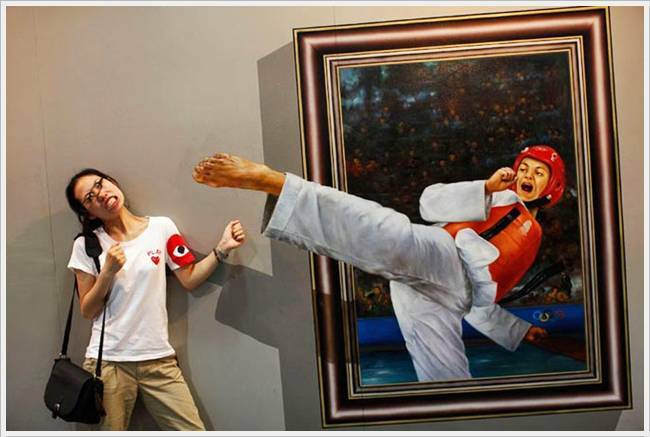 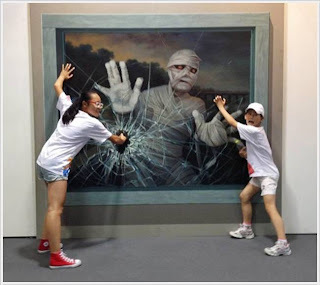 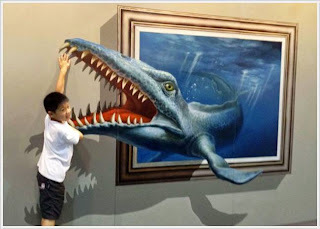 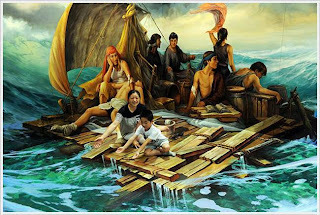 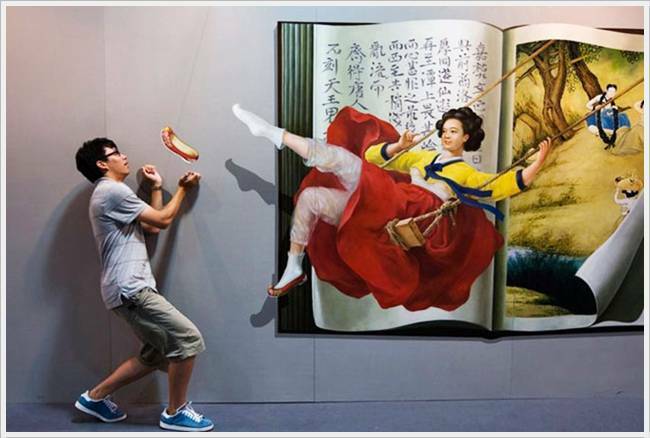 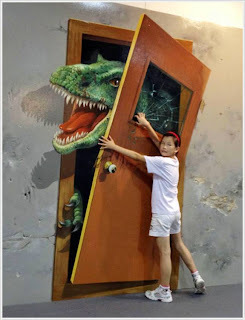 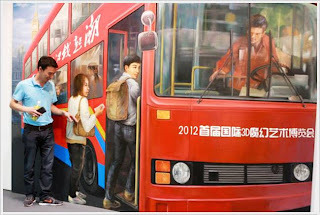 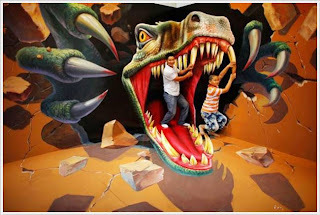 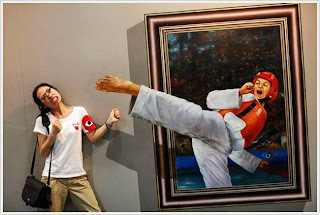 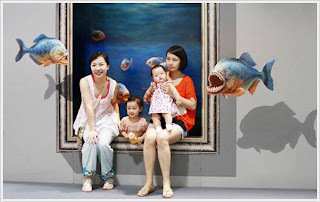 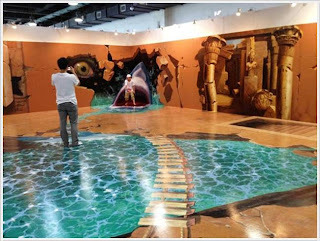 Exhibition of 3D-painting in 2012 in China3D display of paintings is now in the Peace International Exhibition and Conference Centre of the Chinese city of Hangzhou. 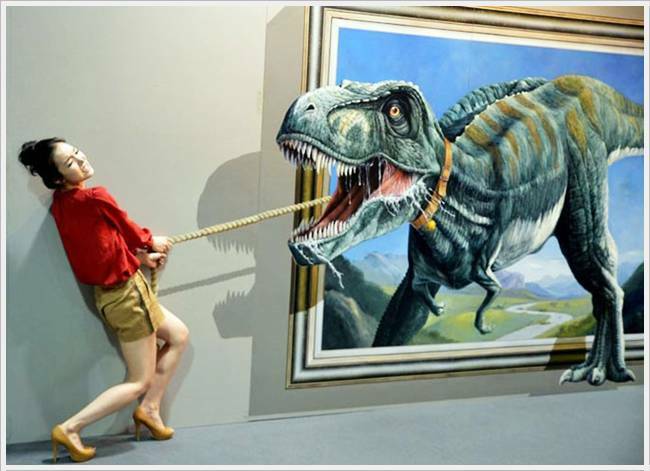 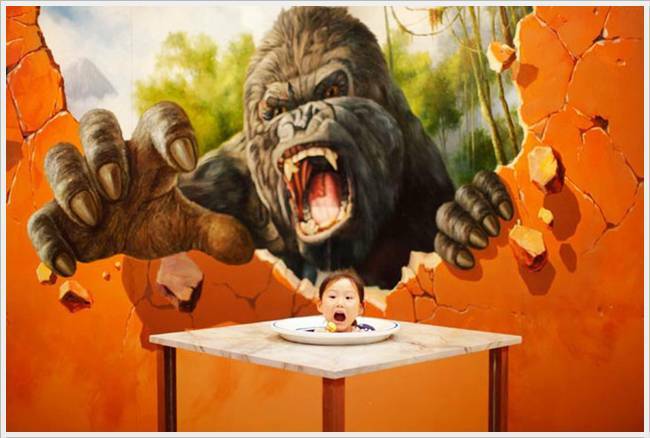 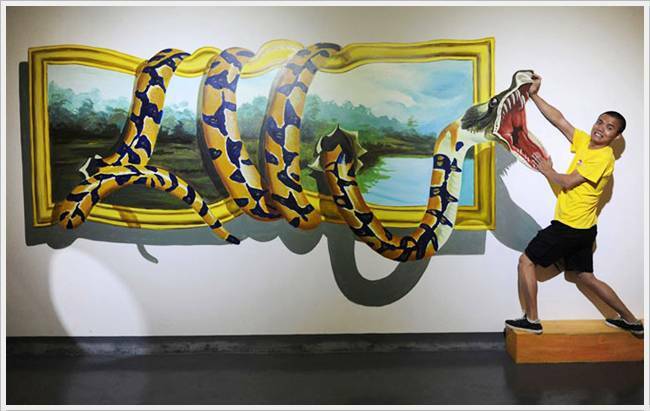 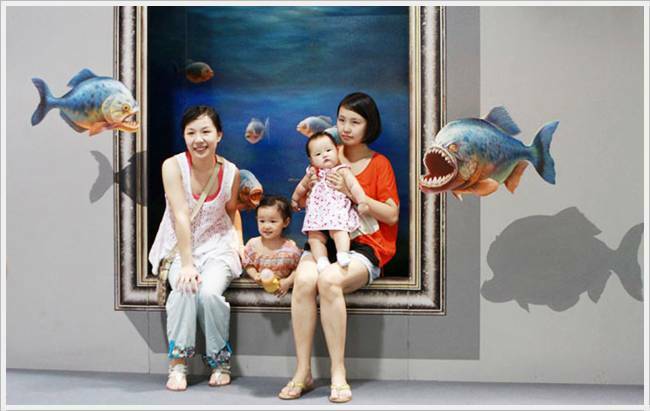 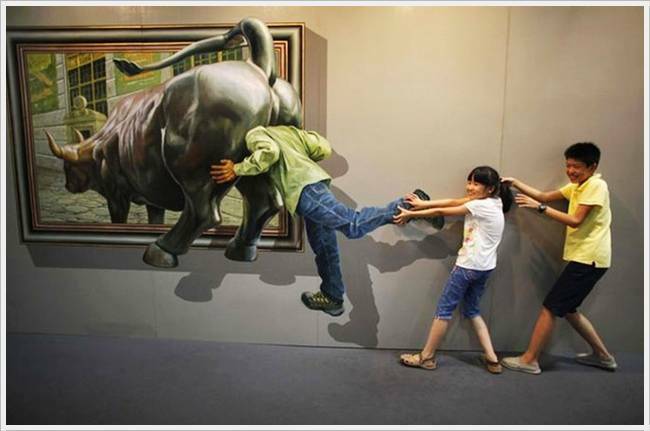 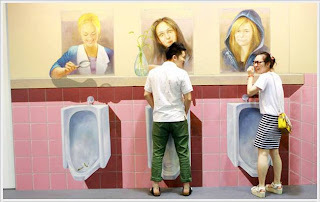 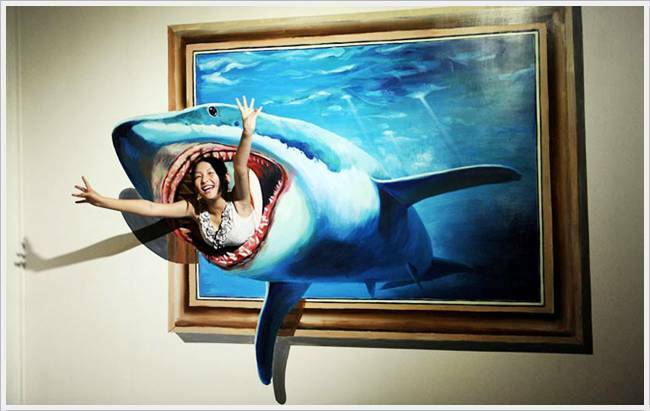 The exhibition is notable for the fact that changing the standard notion of visiting art galleries and museums. 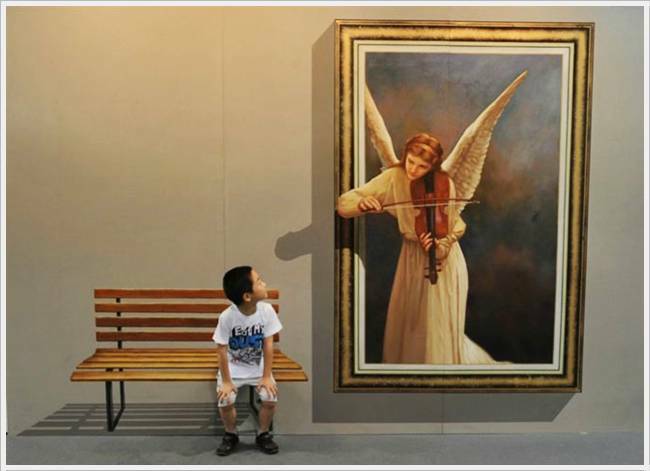 Usually people just view the exhibits, which in any case can not be touched with a serious expression, while at a respectful distance from them. 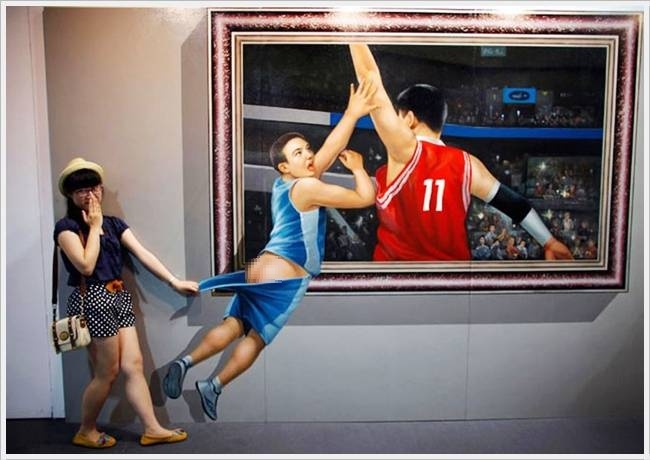 Here is the opposite: to touch the paintings are not just possible but even necessary. 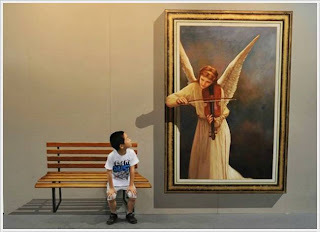 About the seriousness should also remember, a smile on your face will be all the time. 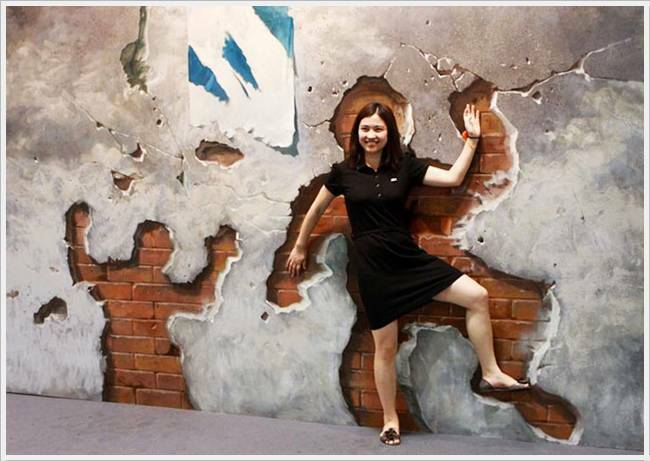 The event kicked off on July 1 and will run until August 6. 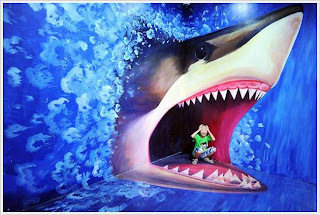 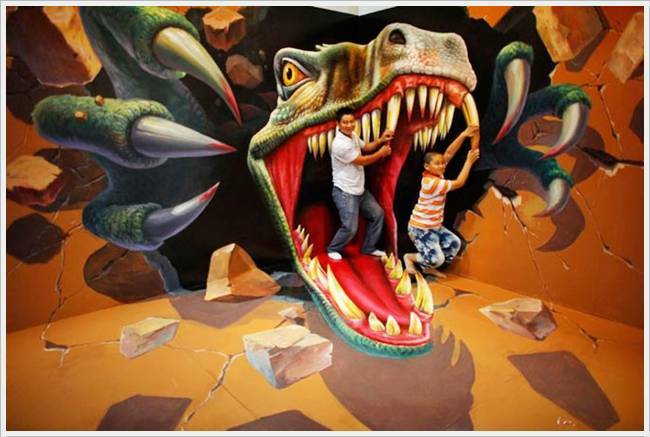 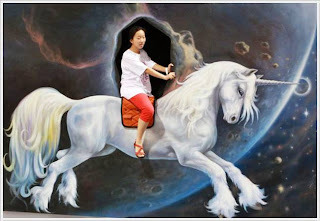 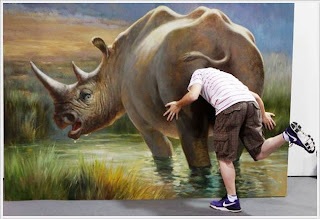 So you still have time to touch the dinosaur, to visit in the jaws of a shark and ride a unicorn.